Thank you for your interest in membership with the Property Management Association of West Michigan (PMAWM). The West Michigan multifamily housing industry is made up of a wide variety of businesses; from owners, managers and developers to the many industry suppliers of products and services. Due to the scope and size of the industry, companies involved are often affected by local, state and federal governmental legislation and/or policy. PMAWM Membership automatically gives you State (PMAM) and National Apartment Association (NAA) Membership - AT NO EXTRA CHARGE. As a federation of nearly 170 state and local affiliates, NAA encompasses over 68,000 members representing more than 9.25 million apartment homes throughout the Unites States and Canada. 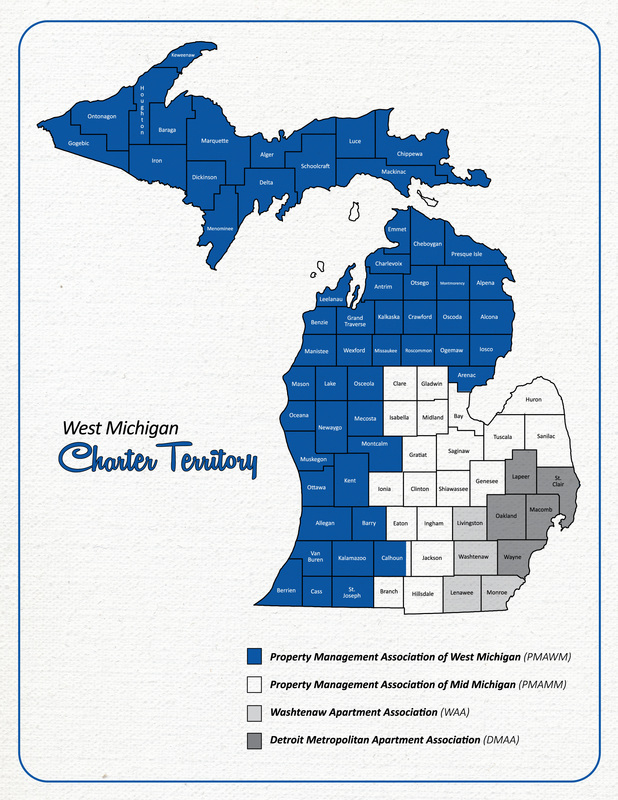 While membership is not mandatory, a great deal of professionally managed apartment communities in West Michigan are members, and over 125 companies that provide products or services to the industry are members as well. The fee for owner members is based on the amount of units owned/managed [see scale on application page], and an annual base fee of $204 ($102 for IROs with 24 or less units). Associate members, suppliers of products and services to the multifamily housing community, have an annual dues payment of $372 per calendar year. Please use the links above and to the right to learn more about benefits of membership with the PMAWM.